In a benefit for Northwest Folklife, join us, John Ackerman, and Sunshine Music Together instructors for a family-oriented sing-along and concert from 2 to 3:15 p.m. at the Old Redmond Schoolhouse Community Center, in Redmond. We'll be playing our own tunes from 2:50 to 3:10 p.m. -- ish! Even if neither you nor your littlest has never been to a Music Together class, these songs are easily accessible for families with young children to enjoy! Heck, even old hipsters will have a great time. Come out, and help raise a little money for the best fest in the west! Music Together is an innovative music and movement program for children ages newborn to age five years and their parents or caregivers, that is based on the belief that all children are inherently musical. Originally offered to the public in 1987, it pioneered the concept of a research-based, developmentally appropriate early childhood music curriculum that strongly emphasizes and facilitates adult involvement. Imagine an under-21 band competition (unimaginable! ), where your favorite teenage folk trio is pitted against an incredibly great rapper/musician - Kingston's Nabii KO$MO, an absolutely crazed garage-rock band out of Bellevue - Thee Samedi, and an amazingly ethereal electronica artist, Manatee Commune (a.k.a. Bellingham's Grant Eadie, who happens to play violin, guitar, and keys). Well, that actually will come to pass at 8 p.m. Friday, Feb. 15 at the EMP at Seattle Center, as part of EMP's annual Sound Off! competition. We're freaking out with trepidation and excitement, and we would so be honored if you would join us, root for us, and root for our competition as well -- they truly rock. It's such an honor to be among semi-finalists in this well-respected annual event. We recommend attending every one of the three semi-final events, which run each Saturday starting Feb. 8, and then coming out for the final showdown, March 1. An annual event since 2001, EMP’s Sound Off! supports the all-ages scene by giving artists an opportunity to showcase original music, launch their music careers, and connect with the larger artistic community. All participants are 21 or under and residents of Washington, Oregon, British Columbia, or Idaho. The coolest rule is that all music has to be 100 percent original, so while you'll hear some familiar stuff, we'll be debuting some new tunes and songs. Get the details (including tix). Be there! 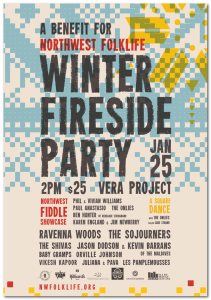 Tomorrow, along with a slew o' stellar Seattle musos, we will brandish our fiddles, geetars, and such and play more than a few notes at the Winter Fireside Party, a hells-a-fire fundraiser for Northwest Folklife starting at 2 p.m. at Seattle Center. 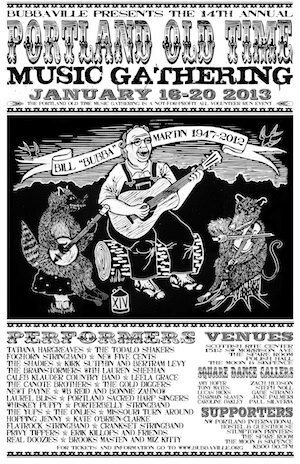 We'll play a concert AND a square dance (yes, we're giving our fingers a day of rest today), and count ourselves fortunate to play in a showcase alongside the likes of Phil and Vivian Williams, Paul Anastasio, and others. Concerts follow with Orville Williams, Ravenna Woods, The Sojourners, The Shivas, dang, even that most teenagerly of Northwest folk stars, Baby Gramps. Our elbows will be looking out for some good rubbing. The square dance starts at 2 p.m., with Gabe Strand calling. 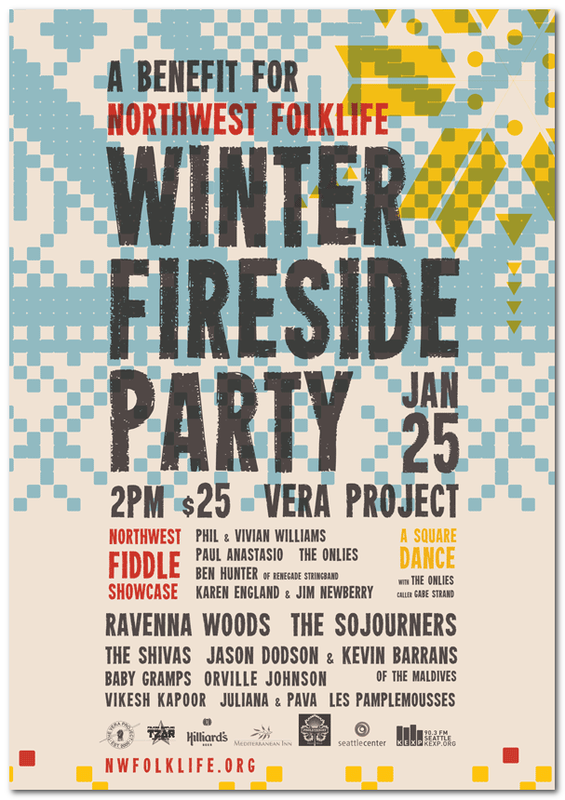 Then at 4 p.m., we'll be part of the Northwest Fiddlers' Showcase. Warning: The sticker shock is $25, but if you consider it's for a great, great cause, you'll probably just want to buy two tickets for yourself, or bring a friend. Do, and say high to us, dance a do-si-do, and if you've got an instrument, bring it to: There'll be jams galore. All the deets are here. Wow. This year has been one heck of an amazing year filled with endless wonders. To attempt to encapsulate this greatness, we thought we’d highlight our favorite musical moment from each month of this year. We hope to include every one of you—the most supportive and enthusiastic group of fans (more like friends) we could ask for. We owe 2013’s success to you! Note: Links to videos are included, so do click! January: We had the pleasure of playing the Portland Old-Time gathering for the first time! Here's a video of the Family Dance, Portland Old-Time Gathering. It was a weekend bursting with music, dancing, inspirational people, and Voodoo doughnuts. We got opportunities to jam with friends from near and far, along with deepening our Old-Time musical skills. We’re looking forward to returning again in 2014! February: Our album was close to finished as we headed over to the East side of Lake Washington to attend Wintergrass' 2013 kid's program. Along with crazy-fun jams, adventures, and parties within ngton to attend Wintergrass 2013. We were Youth Academy Teacher Trainees (YATTs) for the deep corridors of the Bellevue Hyatt hotel, we got the opportunity to play on-stage with Darol Anger and the Furies for a song. T'was a most fabulous fiddle weekend. Later that weekend, we attended a Rushad Eggleston house concert, and got the deep and true honor of accompanying him on "Hegwilard Basugiman" (Spell check?). If you know Rushad, you know that we were joining him on a Sneth journey toward a Fwethering Ubujnux party (Spell check....again? )-circle extravaganza, as you can see in the video. March: This month marks the birth of our first full-length CD, Setting Out to Sea! On March 16 at Hale's Palladium, the three of us rosined up our bows and tuned our strings in preparation for our CD release party. We must say, it was quite an exhilarating night. With the combination of 300+ enthused audience members (made up of friends, family, musical mentors, and personal mentors), The Barn Owls (the opening band), and our boundless excitement, the night couldn't have gone any better. The energy in that room could have fueled infinite rockets to the moon. We also received notice that we were accepted into More Music at the Moore, a program in Seattle for young artists to collaborate to put together a musical show at the Moore Theater! April: Along with rehearsing new material for the Moore, our families decided to take a trip to Hawaii over Spring Break. It was relaxing, inspirational, and snow-cone filled. While inspired by the island, we arranged Past the Fog, the song we would later sing at the More Music at the Moore show. Mahalo, Kauai! May: Always a crazy-busy month, we started it off with performing a collaboration with beatboxer CDQ on New Day Northwest! Under the mentorship of bass player/singer-songwriter Meshell Ndegeocello, we spent a week preparing for the big More at the Moore show after school at the Moore theater. Meshell was a great musical and personal role model for us, exemplifying her love of music and performance through her teaching style. Almost everything that came out of her mouth could be put into an inspirational quote book, we thought. We loved this experience--though different from what we usually do, because it gave us a chance to meet other young musicians in Seattle and learn to cross genre barriers. Who says a fiddle can't back up a beat boxer! We also had the honor of performing and having an interview on KUOW! Later on, we had an annual Folklife gig, and were asked to play the National Anthem at the Experience Music Project's Sky Church to honor Jimi Hendrix's musical influence. We put our own twist on it, just like Jimi did. Here is our performance at More music at the Moore: http://www.youtube.com/watch?v=lYug_j255RU; here is Riley's performance with Otieno Terry: http://www.youtube.com/watch?v=wscoZf6qIW0; here is Sami's performance with Emily Randolph: http://www.youtube.com/watch?v=3HLBbF2Fuxs. June: With the conclusion of school comes the favorite time of the year....SUMMER! Leo and Riley drove over to Weiser, Idaho for the Weiser fiddle contest/festival (Sami, alas, couldn't attend). 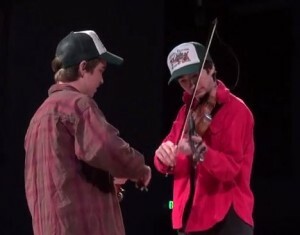 With a week of jamming and fun, Leo and Riley decided to compete in the twin fiddle category of the competition. They made it through to the finals, yet had to leave too early to compete once more. Here's the video. July: We boarded the ferry boat on our way to one of our most beloved fiddle camps, Festival of American Fiddle Tunes! While there, we spent our time roasting marshmallows, exploring abandoned barracks at Fort Warden, playing tunes in those barracks (great acoustics! ), playing tunes about everywhere else, putting on crazy hats for the annual campsite hat-party, and not getting much sleep. We all got the opportunity to play a couple tunes on Ed Haley's fiddle, a really memorable musical experience. Headed down to Valley of the Moon Scottish Fiddle School (VOM), lead by the fearless Alasdair Fraser, we stopped to play house concerts and shows in Portland, Arcata, Berkeley, Palo Alto, and Cottage Grove. Along with MANY hours in the car, we saw many friends on our way up and down and played a lot of music on our way up and down. Valley of the Moon, like all many fiddle camps, was quite amazing. We played all sorts of tunes with all sorts of people, reconnecting with old friends and meeting new. Riley was constantly pullin' out his ole' banjo, and began to jam in the three-finger style with it! Sami was learnin' new chords on her ole' guitar, and also began to jam with it. Leo was also pullin' out his ole' banjo, and clawhammered it up. I don't know why we just went abbreviation-crazy there, but it seemed to fit the rustic mood! October: We played the Issaquah Salmon Days Festival, which was quite a blast. It was a warm and sunny day in October...something unheard of in Seattle! We also played a show at the Royal Room in Columbia City, a very fun night where we saw many friends! We opened for Scrape, a small orchestra Riley is part of. Finally, we played a show with A Thousand Years At Sea, made up of Colin and Ethan, two friends from VOM! November: We Onlies were getting into the Mexican mood rehearsing with Paul Anastasio, Elena Delisle, Juan Barco, and RuthMable Boytz for our Calentano music show! 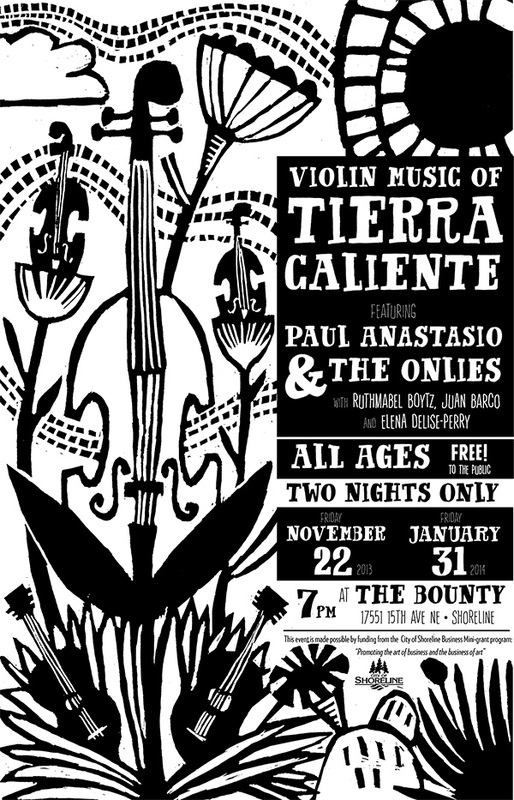 Paul and Elena had asked us if we wanted to play some Mexican tunes (from the region of Tierra Caliente) for a couple of shows, and we had our first one at the Bounty coffeehouse! La musica de tierra caliente es muy bonita, nosotros pensamos! (Now this post is tri-lingual! Notice the Hawaiian we used earlier:) Here is a video of us playing Piedritas Al Agua. Aaaaannnnnddddd.....that was our year! Other stuff happened, of course, but these were our Onlies highlights. We are looking forward to the future! We hope you, the best supporters EVER, are looking forward to the future. 2014, here we come! A new fab 5? Leslie, Clarridge, Chrisman, Kraukaer & Price. The Onlies want the world to hear five acoustic-string geniuses, and to that end have invited them all to perform a house concert at 7 p.m. Wednesday, Jan. 8 in Madrona, at the fabulicious home of Gretl Galgon. Tashina Clarridge and Simon Chrisman of the Bee Eaters have brought together an all-star band to play and sing two sets of high-octane bluegrass, taking a break from their regular gigs to revel in the sounds and grooves of traditional bluegrass, a music in which all players have deep roots. Simon Chrisman on bass (Bee Eaters, Jeremy Kittel). Though these five have shared the stage and toured together over the years in various combinations, the roots of their connection grow from late-night jams they've had at festivals, parties, and music gatherings… and that's the energy they'll be bringing to the stage on this one-off run down the West Coast: The playful exuberance and freedom of making music just because it feels good. The Onlies will play a new tune or three to begin the evening, and then turn the stage over to Tashina, Simon, and friends. Please come, and invite your friends: It'll be a faboo way to usher in the new year! Entrance is $15, students $10. Come at 7 for snacks, non-alcoholic beverages, and wine in the loveliest of venues! Show starts at 7:30 p.m. promptly! KBCS names “Setting Out to Sea” one of year’s 10 best CDs! A huge shout out to KBCS and all the air time they've given us over the last year, and woohoo are we on cloud nine having "Setting Out to Sea" named as one of the year's 10 best CDs. That designation came from Eric Hardee, host of one of our favorite KBCS shows, "Folksounds," which airs Tuesday nights with co-host Jeanne Geiger. You can check out the whole list of each DJ's top CDs on the KBCS Web site -- we highly recommend it. KEXP interviews EMP on Sound Off! KEXP's Troy Nelson did a FABOO interview today with the EMP's "Anita" (no last name mentioned), covering Sound Off! 2014 in which we'll be participating. Definitely give the interview a listen -- it includes tunes by several of the bands -- synth pop from Laser Fox of Seattle and ethereal electronic coolness from Manatee Commune of Bellingham, and hip hop from Tommy Cassidy of West Richland. Great stuff, and stiff competition. We're excited! Feb. 15 @ the EMP: It’s battle time! Sound Off! lineup for Saturday, Feb. 15. When we think of music, the word "competition" isn't the first thing that comes to mind. Rather, it's being in the groove, in harmony, tight and in the pocket. But alas, we're going to throw that all aside now that we've been invited to join the Experience Music Project's 2014 "Sound Off!" battle of under-age Pacific Northwest bands. The four-Saturdays event (Feb. 8, 15, 22, and March 1) pits 12 up-and-coming soloists and ensembles against one another, though we're guessing it'll be a lot more fun than fight. Our big date is Feb. 15 -- hopefully you can come and cheer us on. We know several of the performers, and listened to all the others today, and we know that we'll be in great musical company, performing alongside folkies, indie rockers, hip-hop artists, soul singers, hard rockers, and so forth. While it is not an Onlies gig, we're excited that Sami and Riley are getting the chance to play a beautiful piece of music for a great cause. 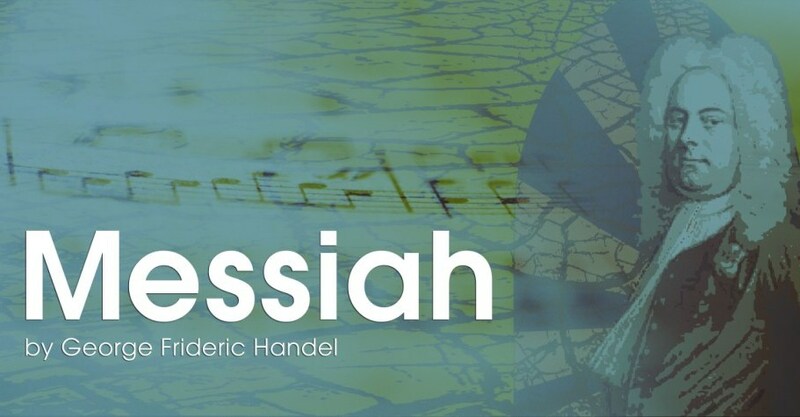 Their high school orchestra, the award-winning Garfield Symphony Orchestra, will be accompanying the singing of Handel’s Messiah at Seattle's First Baptist Church, on Saturday, December 7th. More details on the event's Facebook page. It should be a great night! At the 2013 Festival of American Fiddle Tunes we were fortunate enough to dip our toes in the waters of the amazing music of the Tierra Caliente region of Mexico. Elena DeLisle saw us enjoying ourselves and proposed a project where we worked with expert fiddler Paul Anastasio and others on a concert or two of the best of these tunes. Paul's three part fiddle harmonies are gorgeous, and Leo and Elena have been working hard on the tricky guitar rhythms. The first concert is at 7:00 this Friday, November 22nd at The Bounty (formerly known as Laughing Ladies Cafe) in Shoreline. Here's the Facebook page for the event, with all the information you need to attend!